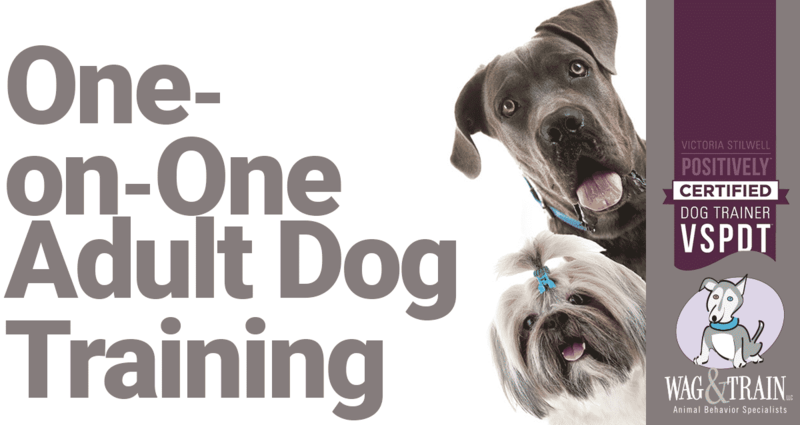 Kari Bastyr, MS, CDBC, VSPDT works with dog parents one-on-one while teaching you to train your dog with love and kindness.The program usually focuses on basic commands, jumping, leash walking, front door manners, recalls, front door behavior, and impulse control. Not only will your dog develop improved manners, you will learn how to make it fun for everyone involved. With knowledge and experience working with a variety of behavioral issues, Kari enjoys helping every dog reach his or her full potential. As a VSPDT certified trainer, you can rest assured that she uses and teaches force-free, pain-free techniques that are effective in helping your dog fit happily and harmoniously into your life; no need for leash-jerks, prong collars, choke chains, shock collars or other forceful, painful methods. Adult dogs ages 12-months and older. Is your puppy younger? ***Not for anxious or aggressive dogs. Call or email Kari at 612-578-1299 or kari@wagandtrain.com to set up an appointment! Not sure which training is best for your and your dog? Contact us today, so we can help. Please note that because this is not a ‘desk job’ and I am often in appointments, it may take up to 24 hours to return your correspondence. I typically respond in the mornings between 9am-12pm.